Dr. Daphne Dragona is a curator and a writer living and working in Berlin. 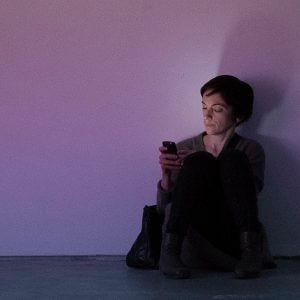 She is the conference curator of transmediale festival since 2015. She has collaborated with different institutions for exhibitions, conferences, workshops and other events. Among her most recent projects are: Tomorrows, Urban Fictions for Possible Futures (Onassis Cultural Center, 2017), and An archaeology of silence in the digital age (Aksioma, 2017). While exploring different fields of interest, her interest always lies in emerging or recurring artistic practices and methodologies that challenge contemporary forms of power. Articles of hers have been published in various books, journals, magazines and exhibition catalogs. She holds a PhD from the Faculty of Communication & Media Studies of the University of Athens.